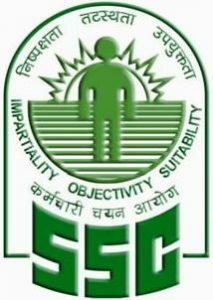 The Staff Selection Commission Southern Region (SSCSR) issued a notification late last week regarding the availability of the SSC Combined Higher Secondary Level Examination 2016 (Paper II). The exam, as per schedule, will be conducted on September 18. SSCSR CHSL is conducted for the recruitment of LDC, DEO, as well as Postal Assistant / Sorting Assistant. Provide all necessary details such as exam city, registration number, and date of birth in the designated fields. Click “submit” to access your admit card in real time. As per data made available by the SSCSR, only 60,975 students qualified for appearing for the descriptive paper out of the total 30,33,455. Worth noting, all candidates appearing for CHSL Paper II 2016 are required to carry at least one photo bearing “Identity Proof” in original (such as Voter Card, Driving License, Aadhaar Card, ID Card issued by college/university. Income Tax Pan Card) to gain entry into the exam hall. How to Apply for SSC Combined Graduate level Exam 2016?